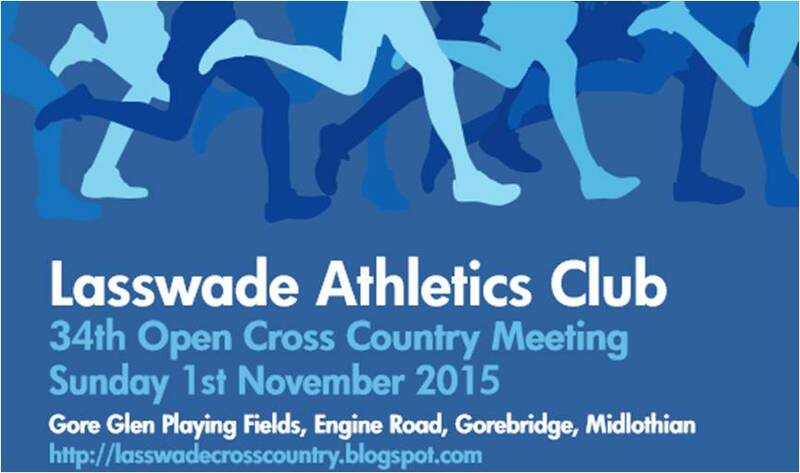 To date we have 34 Athletes who have signed up for this Sunday’s Lasswade Cross Country race at Gorebridge, which will be the first race of this year’s Cross Country Club Championships. The timetable for all races can be found here. Due to the number of Athletes attending the Club has put on a Bus and will leave the main entrance of Broadwood Stadium at 09.40 on Sunday morning and will leave Gorebridge after the last race our Club Athletes are competing in, which looking at the Timetable should be 3.30. The bus should be back to Broadwood Stadium at 16.45. All race entry fees from U11 – U20 is £3.00 and for Senior’s it will be £4.50. In a bid to keep the costs down the Club will subsidise the bus, where the cost will be £2.00 per Athlete. Therefore all in for both entry and travel the cost it will be £5.00 for the U11’s – U20’s athletes, which both Gary and Stephen will collect on the Bus. If you are making your own way there, can you please txt Stephen on 07768 337 608.